One of the things I love most about being outside in nature is that time seems to slow down. We’re never in a rush or distracted. The journey takes center focus and we’re less worried about the ultimate destination. Just being together is enough. Ever wonder how to get that same feeling in your everyday life? In today’s fast-paced society, it’s not always easy. Which is why I’m so excited to have been able to ask an expert for some advice. 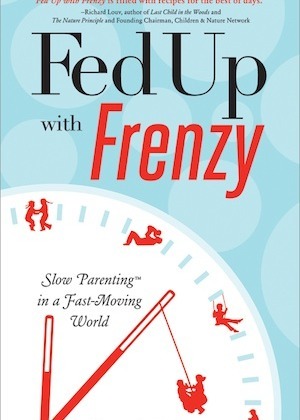 Susan Sachs Lipman is the author of Fed Up with Frenzy, a how-to guide for slowing down and creating more distraction-free time with your kids. The 362-page book is set up in easy-to-read, bite-sized chapters filled with simple, affordable ideas, crafts and activities that can help you slow down and reconnect with your family. Chapters include: Slow Activities, Slow Games, Slow Crafts, Slow Kitchen, Slow Garden, Slow Nature, Slow Seasons, Slow Celebrations, Slow Travel, and Everyday Slow. Susan (aka “Suz”) was one of the first people I met when I started this blog. She’s one busy woman – serving as the social media director for the Children & Nature Network and keeping up her award-winning blog, Slow Family Online. Oh yeah, and she’s a wife and mom to boot. I couldn’t wait to pick her brain for some top-notch advice on bringing calm into the chaos that is so often our life. Can you explain what slow living means for those who might not be familiar with the term? Many trace the Slow Movement to Italy and Slow Food, which came about as a response to quickly prepared and consumed fast food. Lots of “Slow” movements followed, the idea behind most of them being to live in a conscious way. For me, Slow Parenting is not about moving at a snail’s pace, but rather about doing things at a pace that is right for the family, and that pace may change on any given day. How are slow living and spending time in nature connected? Increased time in nature is usually a happy bi-product of slow family living. Nature works wonders on many levels – it offers a host of physical and psychological benefits, and provides opportunities for free play, which is essential for children. It also allows kids to experience wonder and awe, to observe other life forms and the changing seasons. Meaningful family bonding tends to happen in nature, too, because nature moves at a slower pace than most of our everyday lives. I know many parents think that having their children involved in multiple extracurricular activities enriches their lives. How is doing less actually good for kids? More and more studies are coming out that are showing that kids actually need play time, down time, family time and time in nature for their intellectual, social, emotional and physical growth. While extracurricular activities are terrific in moderation, well-meaning parents tend to overdo them, thinking that they’re necessary to help children get ahead. As a result, a lot of kids miss out on the important family bonding that comes from down time and play, which we’re being told produces the very traits in children that lead to their success – resilience, optimism, confidence, empathy, and even enhanced academic performance. What advice would you give to someone brand new to the idea of slow living? What first step can families take toward slow living? I would suggest making one small change. Perhaps spend 15 minutes after dinner taking a family walk around the neighborhood, or spend a weekend hour in a playground or park, playing games. Instead of rushing through dinner prep, take a few minutes longer and let your children help with age-appropriate tasks. They’ll really value the time together and they’ll learn some life skills. What’s your favorite way to connect with nature with your family? I had the fortune of gardening with my parents, and I passed that love on to my daughter. Even when she was very young, she had her own spot in our balcony garden (proving you don’t need a big garden) and she picked and cared for her own vegetables and flowers. We like to choose plants that attract butterflies, and make feeders for birds. We also love to hike as a family, to explore the wild spaces not far from our home. Gentle trail walks leave a lot of time for observation of the natural world and also for talking and playing the kinds of word games that have become beloved traditions. My advice? Add Fed Up with Frenzy to your reading list – it retails for less than $15. 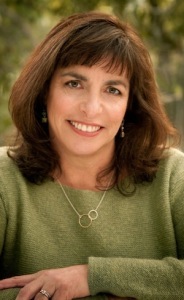 You can also connect with Suz at her blog Slow Family Living and on Twitter. I’m thrilled to be able to provide a FREE copy to one lucky reader. You interested? To enter, leave a comment sharing one way you’d like to slow down your life. Good luck! This giveaway will run through midnight PST on Sun., Sept. 16, 2012. The winners will be chosen using the nifty random number generator at random.org. Winners will have 24 hours to reply to my notification. If I don’t hear back after that, I’ll pick another winner. 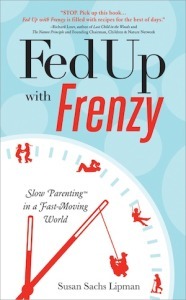 Note: I received a free copy of Fed Up with Frenzy in exchange for providing my honest review with you. Read my full disclosure policy for more information. I can think of too many reasons to slow down. My long drive to work. The awesome time we had fishing yesterday. This 5 days we work so hard only to have 2 days off to spend with our family. Time flies. Whoops nt sure if I answered the question…. I would like to slow down the amount of commitments I make to others and focus on my family more! We&#39;ve been reading this, too, and loving all the fun (slow) activities. If anyone needs to slow down it&#39;s me! Great interview! I am reading that book right now and love it. Well, the author might be preaching to the choir with me, but I am proud to be a part of the same choir!